In the early 20th century, the traveling Hagenbeck-Wallace Circus, led by rewards-based animal training pioneer Carl Hagenbeck, was famous for its humane animal acts. Based in Peru, Indiana, it was also famous for its banking. 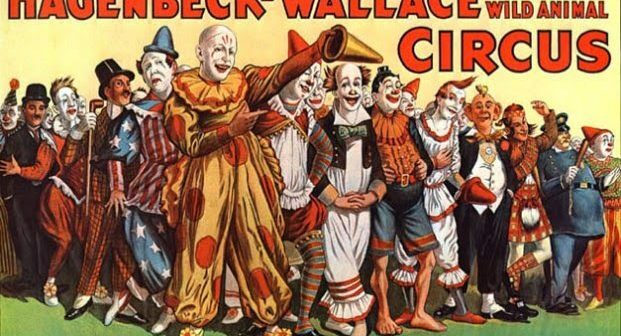 In March 1904, after Peru National Bank refused to deposit the circus’ proceeds because they were in barrels of nickels (the shipping containers were labelled “nails” to discourage theft), circus proprietor Ben Wallace decided to open his own bank, the Wabash Valley Bank and Trust. For the better part of a century, the bank operated on the corner of Main and Broadway in downtown Peru, with the third floor of the building a workshop for circus costumes. In June 1918 the circus became infamous for tragedy when 87 of its members were killed in the worst train wreck in U.S. history. The cause of the crash was an over-worked driver who fell asleep at the wheel and plowed his train into the idling circus cars. The death toll was exacerbated by the sleeper car’s kerosene lamps, which upon impact set the wooden sleeper cars ablaze. 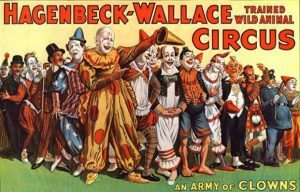 After the train tragedy, Wallace and Hagenbeck sold the circus to Jeremiah Mugivan and Bert Bowers, who renamed it the American Circus Company. In 1929, John Ringling bought the ACC and formed the largest circus in the world at the time, the Ringling Brothers Barnum & Bailey. 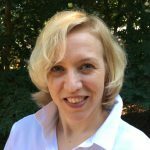 Cara Wick is a "From the Vault" columnist for the ABA Banking Journal and a senior business reporting analyst at BB&T Corporation in Winston-Salem, N.C.